Development programs create incentives whether we like it or not. 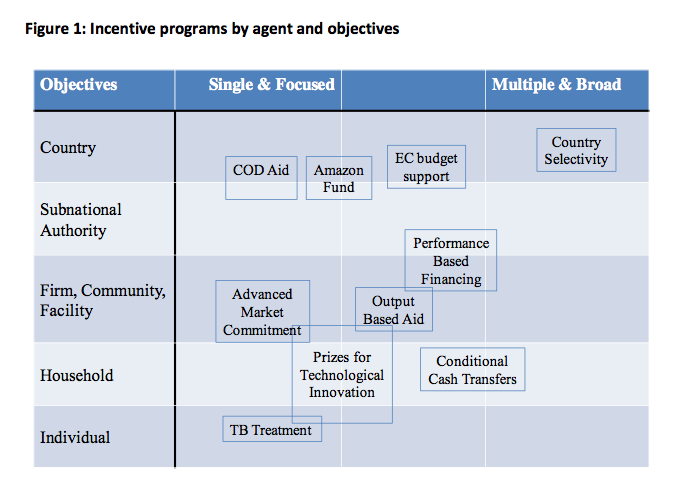 Recent attention to using incentives in the service of development creates an opportunity to make these incentives explicit and improve their designs. This process will go faster if we take advantage of the extensive literature on how individuals, organizations, and countries respond to incentives and think carefully about designs that are appropriate to the context and problem. At the same time, we shouldn’t fool ourselves into believing that there are perfect designs. Instead, by recognizing the complexities, we can design programs that are promising, that avoid known pitfalls, and then evaluate, learn, and adapt from the experience.